Dr. Anne Johnston, Co-Director, James Howard and Hallie McLean Parker Distinguished Professor in the UNC School of Media and Journalism, where she teaches courses in research methods and media and gender. 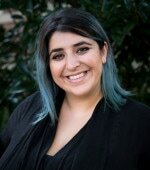 Her research has appeared in Political Communication, Journal of Communication, Feminist Media Studies, Journalism Quarterly, Political Communication Review, Journal of Applied Communication Research, and the Journal of Human Trafficking. 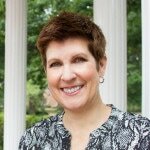 Dr. Barbara Friedman, Co-Director, is an associate professor in the UNC School of Media and Journalism. A former journalist, Friedman’s teaching and research focus on media history and race/class/gender. 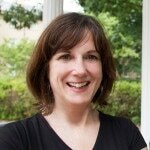 Her work has been published in Journalism and Mass Communication Quarterly, Feminist Media Studies, Journalism History, the Journal of Human Trafficking, among other journals. She is a former editor of American Journalism. Farnosh Mazandarani, Graduate Assistant, is a Roy H. Park Fellow in the UNC School of Media and Journalism doctoral program. She is a graduate of California State University-Fullerton with an MA in mass communication research and theory, and a BA in communication, entertainment studies and cinematic arts. She has worked in broadcast standards and practices with Disney/ABC and MTV. 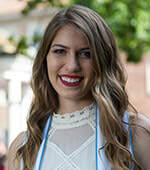 Ashley Hedrick, Graduate Assistant, is a Roy H. Park Fellow in the UNC School of Media and Journalism master’s program. As a research-track student, she plans to study entertainment media effects. She graduated from Clemson University in 2016 with BAs in Communication Studies and English. 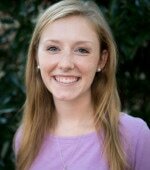 She has interned at Clemson Media Relations and BMW Manufacturing Co.
Evelyn Mitchell, Graduate Assistant, is a Roy H. Park Fellow in the UNC School of Media and Journalism master's program, concentrating in Theory and Research. She studies gender, bodies, and communication. She graduated from UNC in 2017 with bachelor's degrees in Advertising and Dramatic Art and has interned at Recall Information Management and Starwood Hotels.